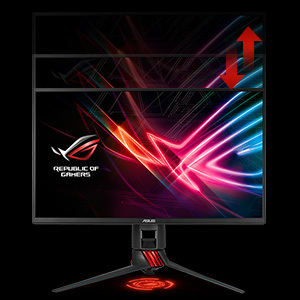 ROG Strix XG258Q's astonishing 240Hz native refresh rate makes it twice as fast as conventional 120Hz monitors. real-time strategy and sports titles. It's all action and no breaks! smearing and motion blur, and makes objects in motion look sharper, so gameplay is more fluid and responsive. the latest fast-paced first-person-shooters, sports, or action-adventure games. 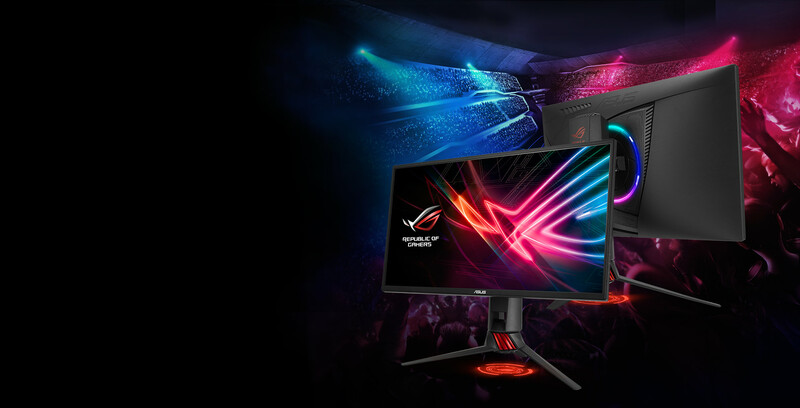 materials, skillfully crafted with the expertise and adventurous spirit synonymous with ROG. multi-display setups. Build the ultimate battle station, and enjoy total immersion! 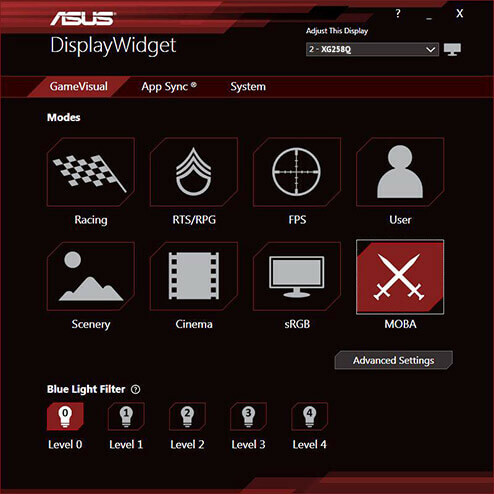 makes accessing and using these various settings much faster and easier. 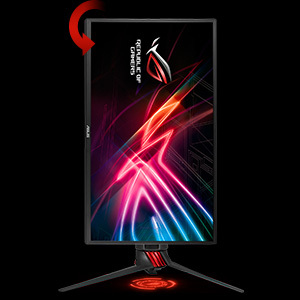 ROG Strix XG258Q reduces onscreen flicker to give you a more comfortable gaming experience. 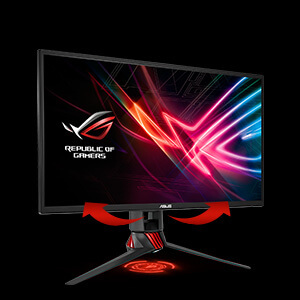 This minimizes eye strain during marathon gaming sessions. 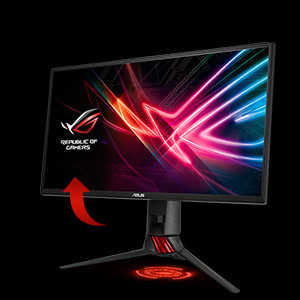 and height adjustment — so you can always attain that ideal viewing angle.